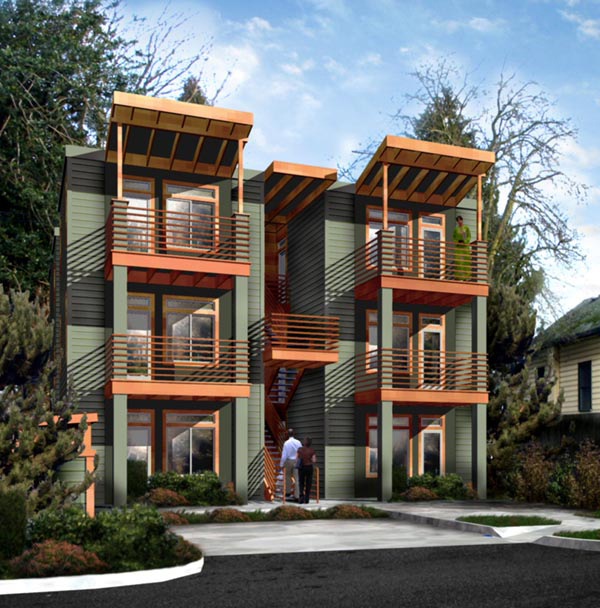 Designed to improve the density of an existing residential neighborhood in central Portland, this three-story building contains 6 two-bedroom units of approximately 900 sq. ft. each. The building features exposed wood framing, energy saving strategies, crime prevention amenities, and low-maintenance materials. Each unit is acoustically separated from the others using isolated floor and wall construction as well as fibrous sound barriers.